What you need to know to avoid getting burned. Though safe handling might seem like common sense, it’s vital to have proper procedures in place for storing, handling and administering first aid when coming into contact with chemicals. Personal Protective Equipment (PPE) helps shield and keep you safe when handling materials or simply walking through an area that might house them. PPE includes eye protection, ear protection, gloves, boots, head protection and protective clothing. It’s everything you need to stay safe when handling materials. It will also protect you from slips, trips and falls. The Hazardous Safety Materials Guide classifies the hazard (is it flammable, corrosive, etc), outlines storage instructions, and suggests what PPE to wear when interacting with the material. 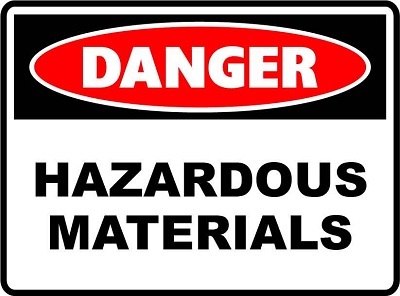 The class of a material is identified with a hazard illustration within a diamond-shaped symbol. For example, a flammable substance would be illustrated with a graphic of flames. Beware of products that hydrofluoric acid (HF) or ammonium bifluoride (ABF). HF, commonly used to remove road grime and brighten aluminum, can cause burns. Exposure to HF causes chemical burns and is extremely toxic. All chemicals come with Safety Data Sheets (SDS). The safety data sheet is regulated by the Occupational Safety and Health Act (OSHA). Each chemical manufacturer must produce a Safety Data Sheet to highlight safe handling and hazards associated with the product. Two full sets of Safety Data Sheets must be on-site at all times. Each SDS lists Precautionary Statements (P-Statements), which are standardized warnings about hazardous materials. The numbering system divides the statements into categories by 100’s. P201: Follow HR policies for handling large/heavy chemical containers. P501: Dispose of container to recycling after rinsing. All facilities should have the right first aid kits available with approved eye wash stations and a complete action plan should an employee come in contact with a hazardous material. Employees should be trained on how to handle first aid emergencies prior to any event, both for themselves and to help others. When working with chemicals daily, it’s important to be prepared and know the risks. We can help you select the right products for your car wash needs.